Cincinnati Landscaping should be your Cincinnati landscape contractor. 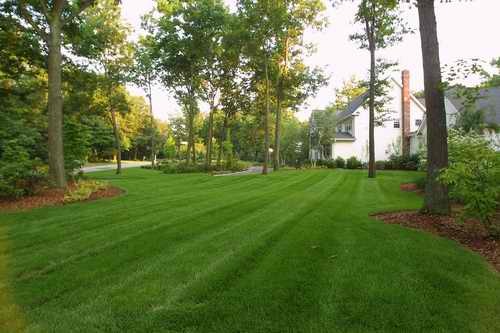 Are you looking for a Cincinnati landscape contractor? Cincinnati Landscaping is focused on your image. If your property looks good, you look good. This is what we are about. Our staff is committed to achieving your goals for your outdoor environment. We strive to make each experience with our clients one that is stress free. The reason why you hire a contractor to do any service on your property is to make your life easier. This is our purpose. We want, more than anything, to help make your life better. Whether in the landscape, drainage or maintenance of your home, we can help. We will "earn" your business. Our work ethic is second to none. Each employee is dedicated to the mission of each project and strive to make every one a success. Big or small, each client gets our full attention. "Enhance your image by effective maintenance of your property"
We are proud to be a part of the Greater Cincinnati community and feel that it is our duty to offer our clients personalized service that is second to none. It's our goal to be your one call for everything outdoors! We will do what it takes to make your property look amazing! Our skilled professionals will address issues before they show up as an issue to the untrained eye. Fertilization, herbicide and pesticide applications will be recommended only when necessary to accomplish the desired result, your property being the spotlight of the neighborhood! Call us today 513-479-7575 or use the form below.